The long 4th of July weekend calls for BBQs and leisurely days spent with friends and family. 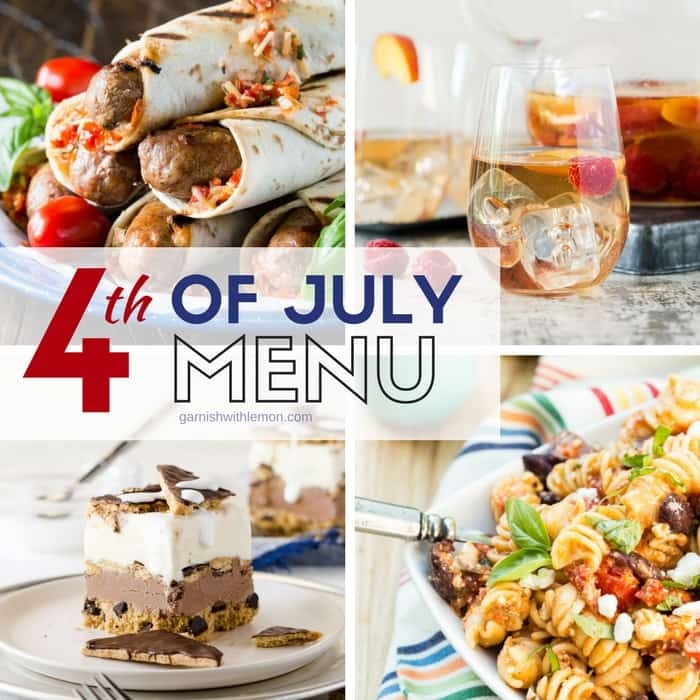 Don’t miss our 4th of July Menu that’s full of time-saving tips to help you enjoy the holiday, too! Fireworks, friends, family and food: that pretty much sums up our 4th of July holiday plans. This 4th of July Menu is heavy on make-ahead recipes so we can relax and soak in the sights and sounds of summer, too. In fact, nearly every recipe on this 4th of July Menu can be prepped and/or made in advance. So get out there and enjoy every moment of this holiday weekend. An incredibly delicious meal will be waiting for you when you return. Kick off your holiday weekend with a glass of this Peach Rosé Sangria! Sangria makes a fantastic batch cocktail for groups and entertaining because everything is done in advance. 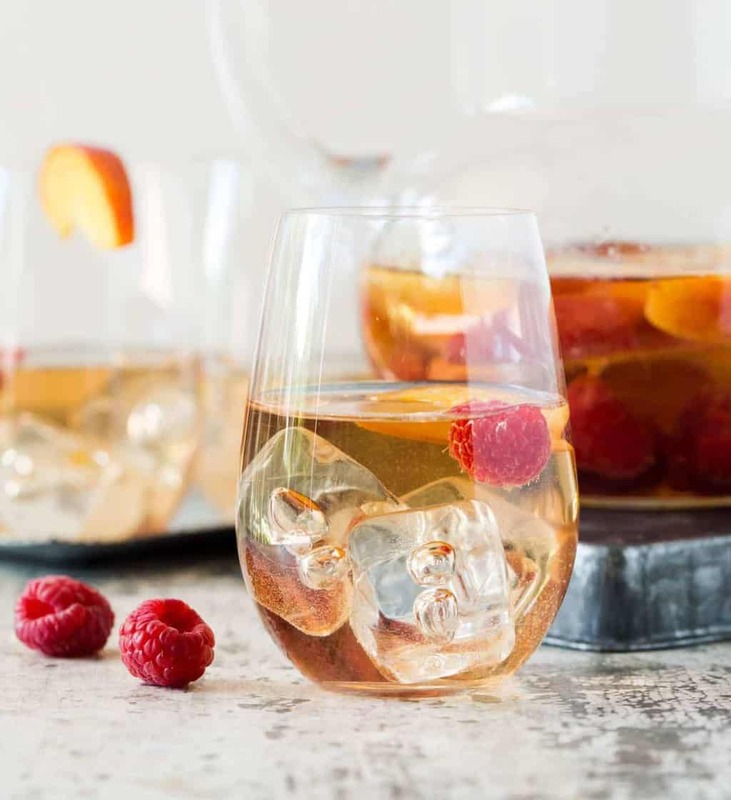 In our Peach Rosé Sangria recipe, you simply combine the rosé wine, elderflower liqueur, brandy and peaches in one large pitcher and refrigerate for up to 8 hours. Once guests arrive, all you need to do is give the pitcher a quick stir before serving. It doesn’t get much easier than that! Looking for an alternative to your traditional veggie dill dip for your pre-party snacking? 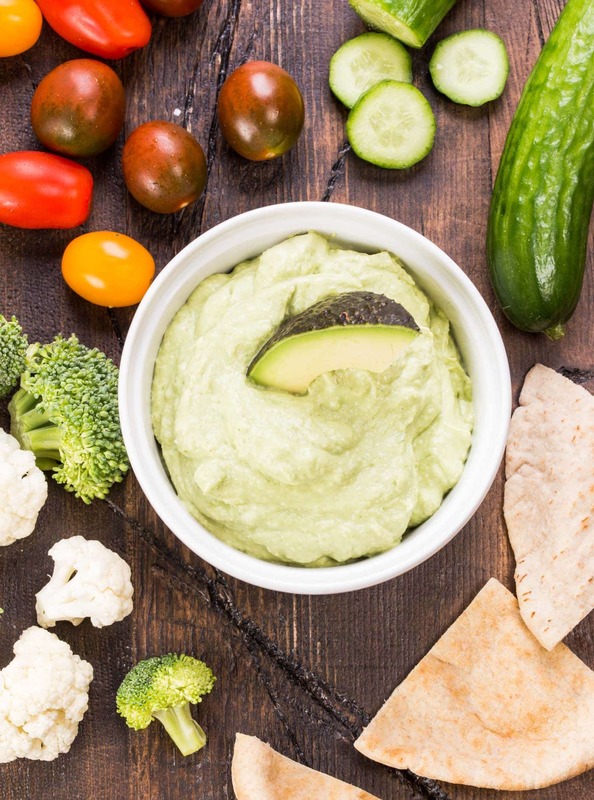 This savory Avocado Cumin Yogurt Dip is a snap to pull together and is loaded with the savory Mexican flavors of cumin, cilantro and lime as well as heart-healthy yogurt and avocado – perfect for cocktail hour! 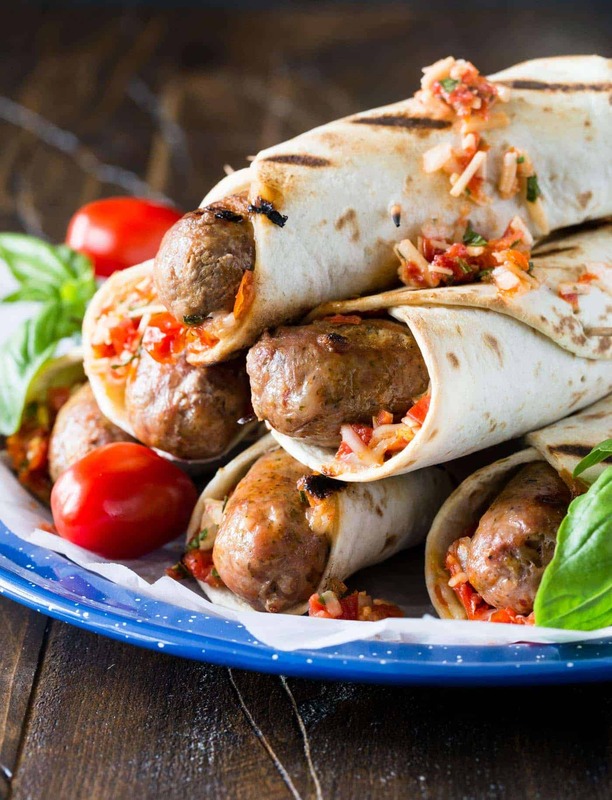 Traditional brats and burgers are fine, but add some flavor and flair to your holiday BBQ with these Grilled Italian Sausage Wraps. Topped with a tomato bruschetta mixture, wrapped in flatbread and grilled until warm and crispy, these wraps are novel for many and irresistible to all! 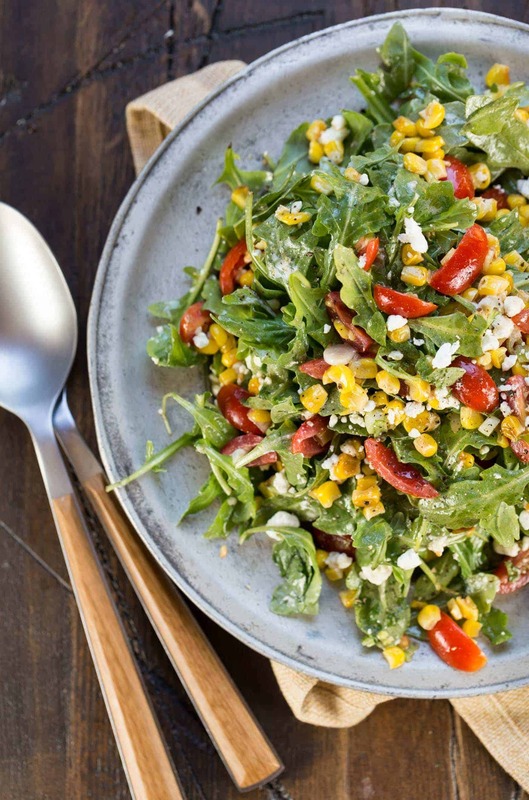 This Arugula Goat Cheese Corn Salad is the quintessential salad of summer packed with all of our favorites, including fresh sweet corn, juicy garden tomatoes, peppery arugula and tangy goat cheese. Simple, fresh and delicious – just like summer should taste. 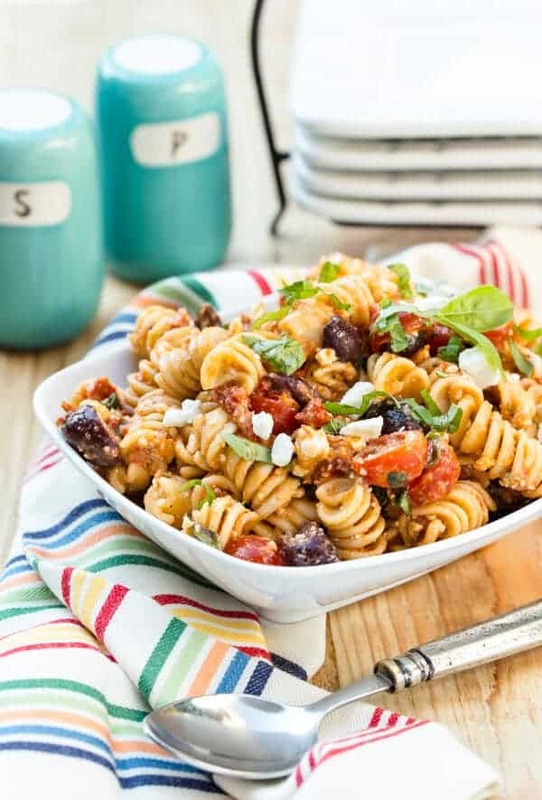 No 4th of July Menu is complete without a pasta salad, and this Tomato Feta Pasta Salad recipe is a real crowd-pleaser. It’s packed with intensely flavored sun-dried tomatoes, briny feta cheese and meaty Kalamata olives in every spoonful, so don’t be surprised when you find yourself going back for another helping. Cap off your 4th of July party with a generous slice of this S’mores Ice Cream Cake. 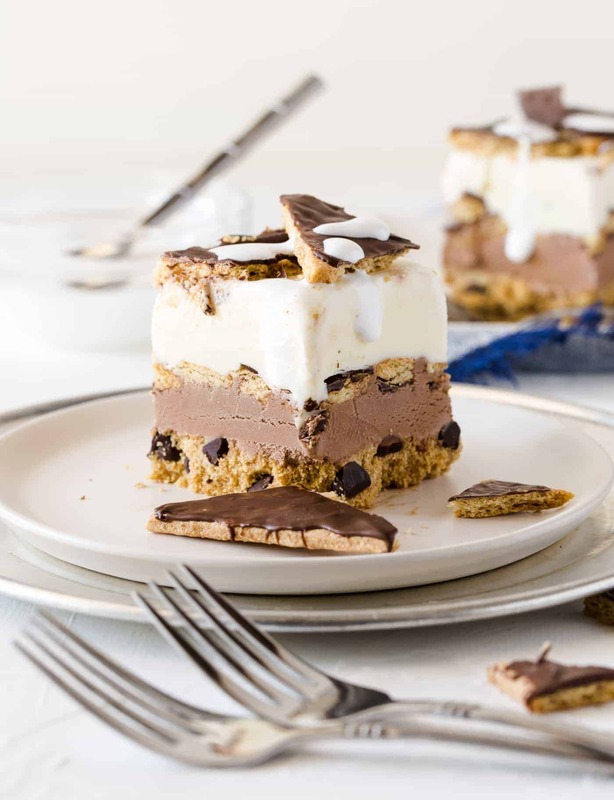 It has all the deliciousness of s’mores (gooey marshmallows, rich chocolate and crunchy graham crackers) layered with refreshing chocolate and vanilla ice creams. There’s no sweeter way to watch the fireworks.